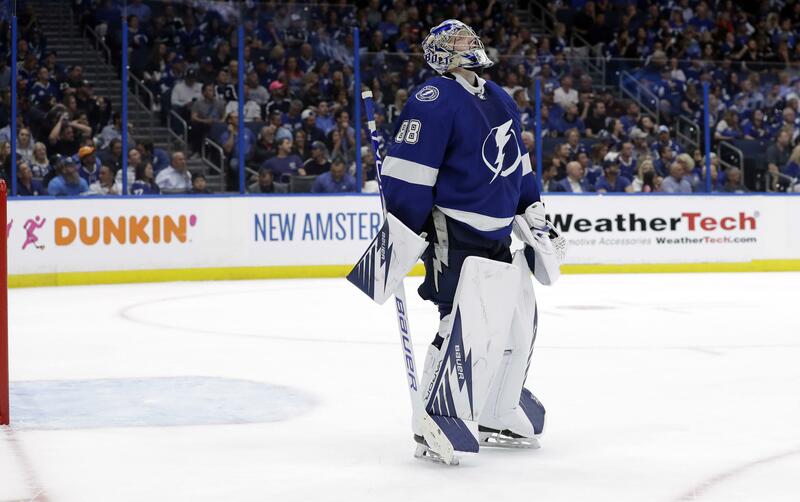 Thu., April 11, 2019, 5:09 p.m.
That all changed as fast as the Lightning squandered a three-goal lead before losing 4-3 to the Columbus Blue Jackets in Game 1 of their first-round series Wednesday night. Now a team that lost consecutive games just twice all season, must rebound in Game 2 at home on Friday night (4 p.m. PDT, CNBC) or be in danger of a quick playoff stay following a spectacular run all season. Published: April 11, 2019, 5:09 p.m.